On the morning of Monday, May 4, 1970, I was anxious to attend the rally that was scheduled for the Kent State University commons at noon. It had been a weekend of disorganized protest and disorder both on campus and in the bar-laden downtown section of Kent, Ohio. The protests had started on Friday, one day after Richard Nixon announced he was escalating the Vietnam War into Cambodia. Many Kent State students were commuters and for them the rally had an air of catching up with what had been happening on campus. The commons is a grassy area in the center of campus. On one end was the ROTC building that had been torched over the weekend. At the other end was a hill and at the top Taylor Hall, the architecture building. To the right of Taylor was Johnson Hall where I was living at the time. The university administration apparently tried to stop the rally by distributing leaflets that said it was cancelled. My sociology professor, on the other hand, cancelled his class so everyone could attend. The rally never got started as the Ohio National Guard moved in to disperse the gathering. Most of the students, myself included, retreated up the hill to the area behind Taylor Hall. It is there that the shooting took place killing four students and wounding nine. Despite being in the area I can’t honestly say that I saw what happened. My only recollection was of herding several fellow students into my dorm room which was safe and, being on the second floor, had windows overlooking the area where the shooting took place. We were soon notified that the building and the entire campus was to be evacuated. I don’t know what I did or what I was thinking for the next hour or two but before long I felt like the last person on campus. As I walked out, taking a circuitous route past Bowman Hall and avoiding the commons, there was no one in sight. I remember carrying an umbrella as it had started to rain and at one point smashing it against a street sign. I walked to a friend’s off campus house where I stayed until I could get a ride to Cleveland Hopkins Airport to head home. The shootings at Kent State put an end to a decade that began with so much optimism and ended with Americans at war with each other. Young vs. old. Black vs. white. 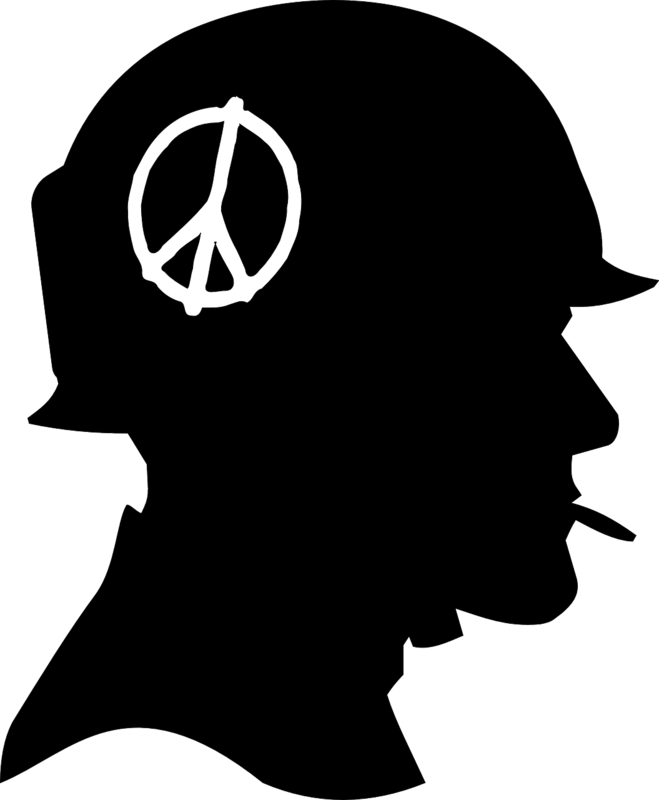 The issue that fueled campus demonstrations and the growth of the radical student movement was the Vietnam War. Many of us who were on the campus of Kent State and every other campus in America at the time would soon have a lottery number put on our heads (mine was 95) that would determine whether or not we would get drafted to head off into an Asian jungle to fight against peasants who our government had decided were the enemy. The student movement grew as the war had dragged on. But they didn’t have many friends other than each other. The “don’t trust anyone over 30” mantra disconnected them with the growing numbers of older Americans who were coming to the same conclusion about the war. 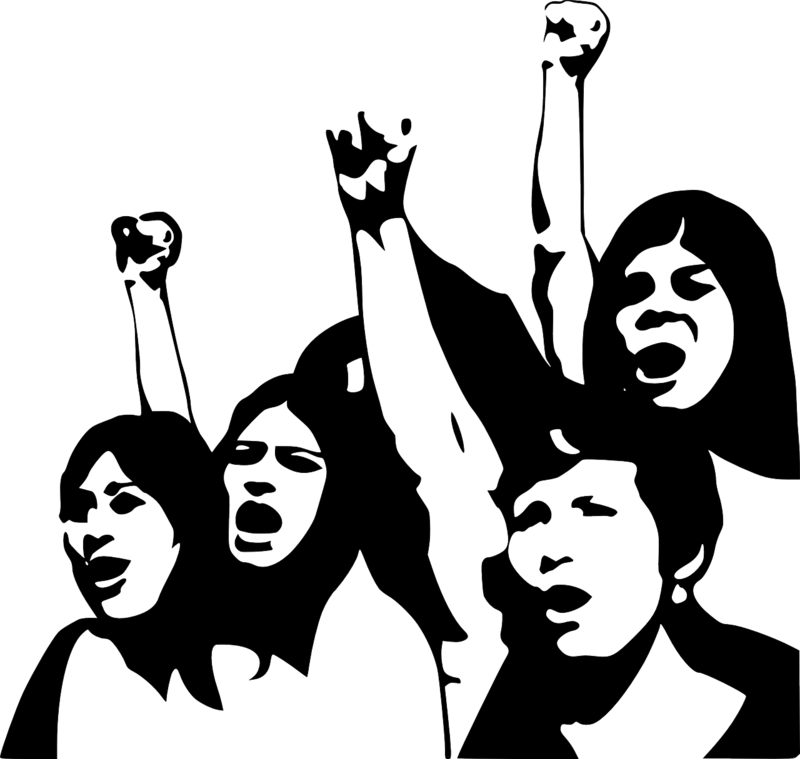 While the student left adapted the vernacular of class struggle they in reality made little connection with the working class or the unions that represented them. If you were working in a factory or at a construction site being a student at a place like Berkeley or Columbia looked like a pretty cushy gig. And while liberal minded whites had long served as participants in many aspects of the civil rights movement, black students were having a generational conflict of their own. They were rejecting the non-violent civil rights movement of their parents and focusing on Black Power. White allies were sometimes unwelcome and at other times viewed with a wary eye. The civil rights movement that characterized the first half of the decade achieved at least nominal success. The Civil Rights Act and the Voting Rights Act were signed into law in 1964 and 1965 respectively. That didn’t end discrimination and it didn’t end racism in America. In fact, it got worse. It also became clear that racism was not a Southern problem, but rather an American problem. It has always bothered me that shortly after the shootings at Kent State a similar incident occurred at the predominately black Jackson State University in Mississippi but the latter never seemed to spark the same level of attention or indignation. James Michener didn’t write a book about Jackson State and Neil Young didn’t sing a song about two dead in Mississippi. The incident was the same, students shot dead while protesting the escalation of the war, in every way but the color of the victims. Meanwhile blacks, and especially younger blacks, are thinking that while it’s nice to be able to sit in the front of the bus, it doesn’t matter much if you don’t have bus fare and if you don’t have a job to take the bus to. The goal after all wasn’t to hang around with white folks, it was to attain the housing, education and jobs necessary to improve black lives. America’s race war was most dramatically demonstrated by the urban riots and rebellions that visited virtually every major U.S. city, usually sparked by real or rumored over-aggressive law enforcement. It started in the Watts section of Los Angeles in 1965, included the riots in Newark and Detroit in 1967 and reached a peak in 120 cities following the assassination of Martin Luther King. The race wars of the 60’s had a more profound and longer-lasting impact than the war between the generations. White residents fled urban areas as did white-owned business. So did blacks with the wherewithal to get out. The plants, mills and factories that provided inner city jobs packed up and moved out. Inner city schools began a decades long decline. Some cities, like Newark and Detroit, still haven’t recovered. Nor has America overcome its war between the races. Just a few years after we could proudly point to the fact that we elected a black president, the events in Ferguson, Mo., seemed to thrust us right back into the 60’s, the decade of the gun. This entry was posted in History and tagged 60's, Black Power, Jackson State University, Kent State University, Student protests, Vietnam War. Bookmark the permalink. Very well written Ken and you had me savoring every word. Amazing that you were there and can only try and imagine what it must have been like to leave campus and see nobody around. What better time to smash an umbrella. The black vs white issue does not seem to have changed much over the years, just the compliance with being pc about the whole issue. I have hope for the future though but doubt any real results will happen in my lifetime, black president or not. To see the way he is disrespected by his colleagues is appalling. Amazing article, Ken. You were actually at Kent State. I don’t think I know anyone else who was there at that time. I was living in San Francisco and that’s next door to Berkeley but that’s not the same. I remember all the things you talked about and am so disappointed that we haven’t come farther. I really thought we had when Obama was elected. Just yesterday I watched Melissa Harris Perry and her panel talk about how, although people are varied is classes in college, for example, after class they all go back to their homogeneous groups of friends. The MLK celebration this year was another means of remembering. Thank you for sharing your experience. I remember hearing about the Kent State riots but at that time I was a newly-married Canadian and while I felt sorry for the people involved, it didn’t really impact my life. For you however, it must have had tremendous impact. You would think after all this time we would realize that while the exterior may look different, inside we’re all pretty much the same with the same goals- trying to make a good life for ourselves and our families. Canada has always been pretty smug about not having a race problem but I know for a fact that racial profiling goes on here. This is so interesting and you really were a part of history (even though you were there but didn’t see it). And this is truly the first time I ever heard of Jackson State. They don’t talk about that in the history books at all. The 60s really were such a unique time. I always knew about the tension between the younger and older generations, but I never realized how the older generation must have looked at the younger generation after they themselves had gone to war. I really enjoyed this article Ken. 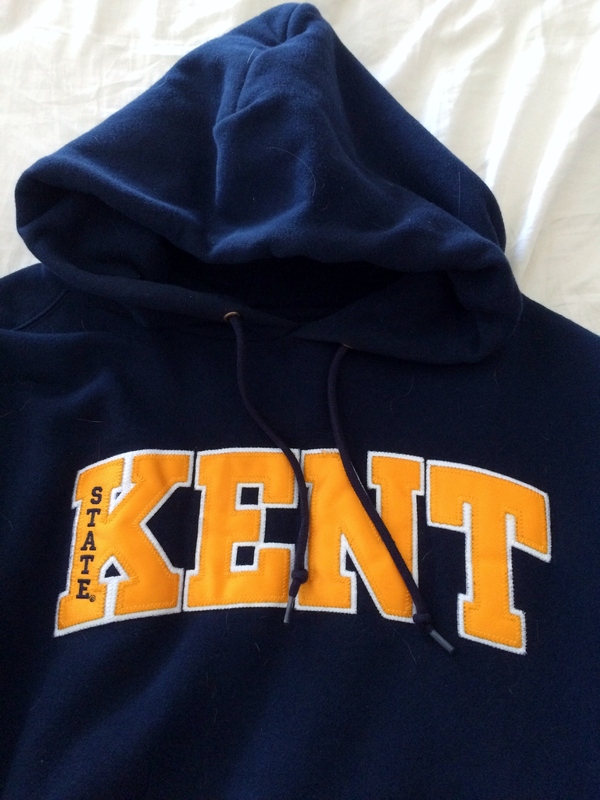 I especially loved visual of the Kent State sweatshirt. So much war and divide which created hate, inequality, fear and bitterness. Some of which still exists amongst the communities. In all honesty, how far do you think the USA has come since the 1970’s? There are many ways in which we have become a more open and tolerant society. But many things are still the same. Racial problems in the US certainly have not disappeared and many of our cities remain places where there are dysfunctional schools, substandard housing and a culture of drugs and crime. Nor do I think we are any less violent. How the early settlers in the US imported Africans and had them as slaves are a disgrace for America. And, unfortunately, there is still discrimination going on against non-white people. Isn’t it time to fully implement equal rights? Have never heard about the Kent State riots. But unfortunately the impact wasn’t sufficient since there is a huge difference if you are born white or coloured in the US. There was no “riot” at Kent State. I never heard about this incident and I feel sad about the people who were involved there. But it is nice to hear from someone who is eye witness of the situation. Protest, killing, hate or war is never a solution of anything or do not bring some good memories at all. I was not much aware of Black vs. White issue before but now I know it well. I feel it is not just in America but everywhere else. At times, it comes to race, religion, ethnicity…. It is sad that we have found a way to hate others. I hope history will never repeat again and such incident will never happen again in Kent State and no student in future will remember that bitter time ever. I was too young to understand the impact of Kent State. What I remember is how old I thought the students were. Now I realize how young the students were. Now that I’m a mother I’ve thought about how stressful my life would be if I had to worry about my son being drafted. The 60’s was a scary time for most young men. And I don’t even want to touch upon the subject of how horribly we treated those boys when they returned. 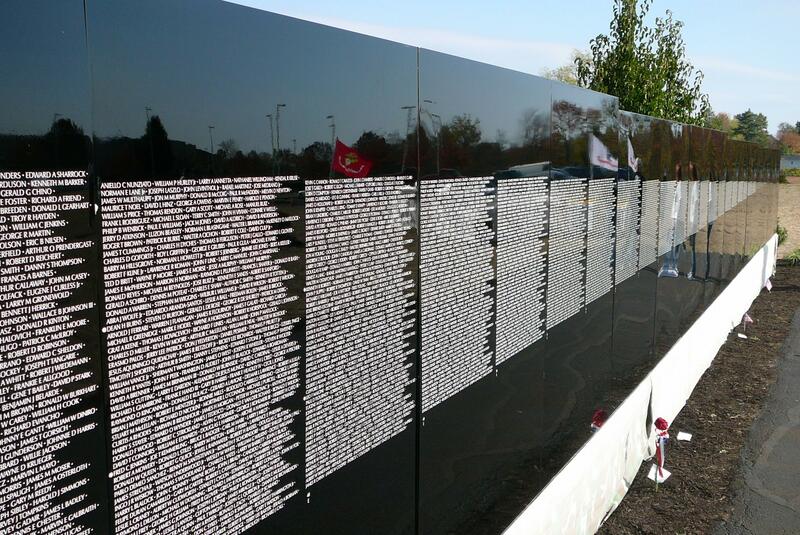 Many of my patients were veterans of the Viet Nam War. I found this Post really interesting as I didn’t know much about it. I had heard about some riots in USA but it was just a vague memory. It must have been a stressful time for so many parents. So glad that you were fine and managed to get home. A profounds post, Ken. It’s so sad to think that minorities still feel the effects of racism. In the US you have the unfortunate situation with young blacks being singled out by authorities. In Canada, we have the same issue with the aboriginal youth. Yes, in both cases, it’s true that some in those demographics are involved in gangs and unruly behaviour. But for the most part, that is not true and they shouldn’t all be painted with the same brush. Ken, I’m embarrassed to admit it, but this has been very educational for me. I was born in ’73, so this is a bit before my time and I learned some aspects of it in history and through reading, but you’ve made so much more sense of it for me. Your writing style is so accessible and compelling that I look forward to each “lesson”. This was a really interesting post, Ken. I remember this Incident at Kent State. Can’t imagine what it must have been like for you being there as a young person. I’d like to think we’ve come a long way in the US since that time, but then I watch the nightly news and wonder how true that statement really is. I haven’t heard about the Kent State or the Jackson State incidents before. A lot of messed up things have been going on for decades in this country. We definitely need to work together with each. Black vs White is a prime example of how and why the divide and conquer theory is still working. I believe there was a disproportionate number of young black men drafted and sent to Nam. This was at least partly because during most of the war there were student deferments for college students and a smaller percentage of blacks went to college. I don’t know about what happened once they got there. At age ten, I remember Kent State and the shock my parents felt over the unprovoked shooting of college students who were not doing anything violent. I am horrified that I never heard of the shootings at Jackson. If it’s not out of line to mention here (edit my comment if you need to), it is particularly striking to me to learn about the Jackson shootings just after the SC police officer killed a black man by shooting him in the back. It all makes me weep that although we have made huge strides, there are still way too many prejudices in our country. Kent State has a reflective place in one of the novels I’ve drafted and your blog is a good refresher to me to remember to keep it real or don’t write it at all. 56. No I’m older than that now (who sang that?). 56 was my draft lottery number. 2S, the number that kept me in college in 1970 and carrying a full academic load. I had nothing against the military, in fact my intention was to graduate and become an officer in the Army. Several sessions over many beers with two Vietnam vets cured me of that notion. I still did not blame the military but began to understand the complexities of civilian elected control over the means of war. The debate still goes on about the war and how it was waged or not. Likewise the debate on where we stand on many controversial issues is lusty and ongoing. It won’t come to a conclusion in my lifetime or probably my kids either. But we transited the time from pre-Vietnam to now and hopefully have learned a trick or two in the process.